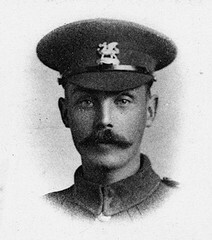 On Armistice Day 11.11.11, the Imperial War Museum, London, made 100 previously unseen portraits of those who served in the First World War publicly available for the first time on Flickr Commons. These images are amongst the first items collected by IWM when it was founded in 1917 to record everybody’s experiences of the First World War. In some cases, bereaved families donated their only photograph. Some have only a name, rank and unit. IWM will be uploading new images to Faces of the First World War every week between now and the 100th anniversary of the outbreak of the war in August 2014 and is asking for comments, information and any links, images or text to be added to the photos to share and remember those life stories almost 100 years after the war. Visit here to view and participate if you can.